in small bowl. Set aside. 3. 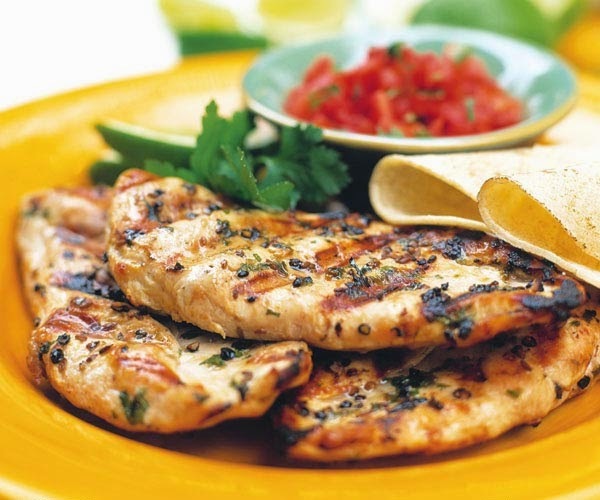 Grill over medium-high heat 6 to 8 minutes per side or until chicken is cooked through, turning frequently. Brush with salsa mixture during the last 5 minutes of grilling.